We are all familiar with the big cats that roam this planet, such as lions, tigers, leopards, cheetahs and jaguars. We also know about the smaller wild cats, bobcats, ocelots and the fabulous lynx. Did you realise that are many more, lesser known species of wild cat, cousins if you like, to the more recognisable cats that we often see on wild life programmes? A lot of these are rarely seen, and although there are often smaller than their more famous cousins and look cute enough to cuddle, they can be just as wild and ferocious and crossing paths with them would not be a pleasant experience. There are around 41 different species of wild cats, many of them are endangered, and although it’s never nice to see them in captivity it has contributed to stopping these beautiful animals becoming extinct. 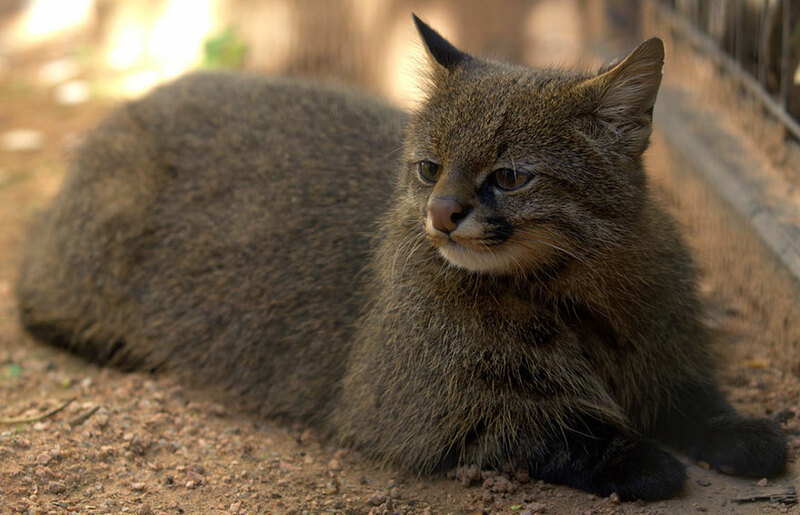 Have a look at these 10 species of lesser known wild cats and remember, no cuddling! 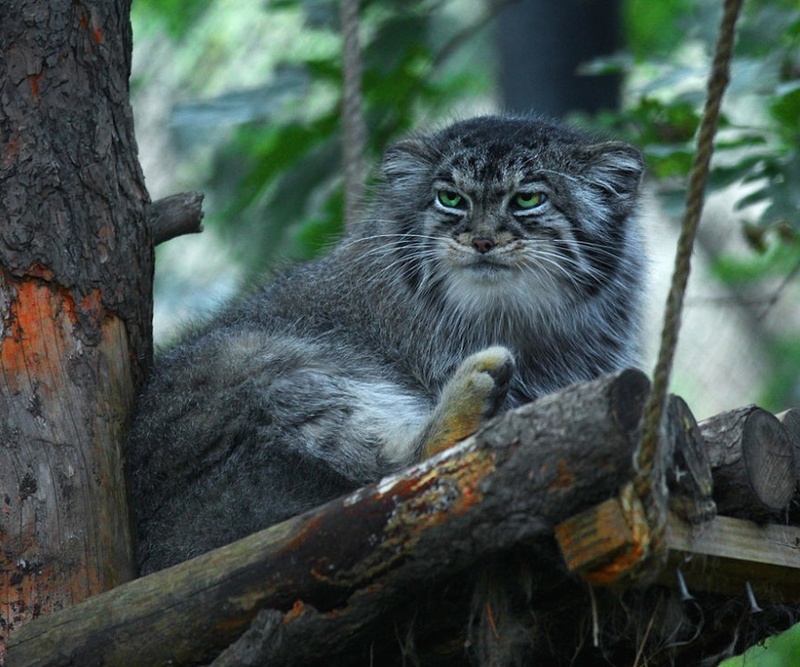 The Pallas’ cat (Otocolobus manul) is also called Manul. They are about the size of a domestic cat, but appear heavier because of their dense fur. They are believed to be the oldest species of cat, having evolved about 12 million years ago. 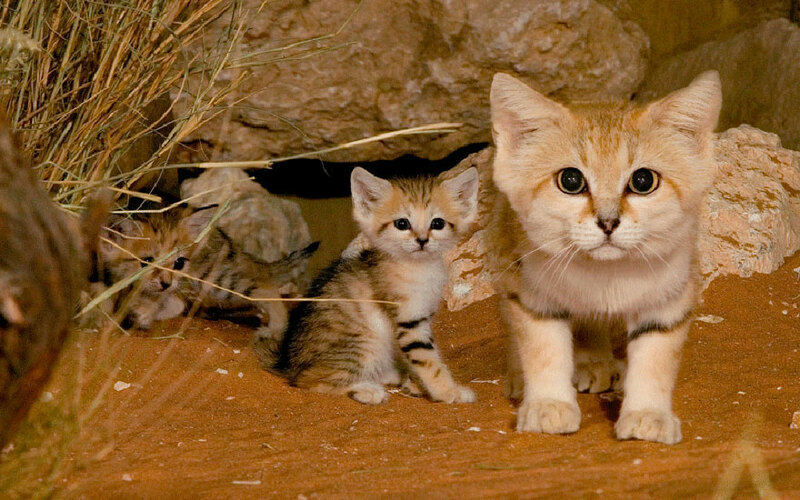 The Sand cat (Felis margarita) is found in the deserts of Africa, the Arabian Peninsula, and western Asia. It is about the size of a domestic cat, with thicker and longer fur. Sand Cats have fur growing between their toes just like Arctic cats. This fur works acts like insulation for the paws against the environment, and keeps the Sand Cat’s feet protected from hot surfaces instead of snow. 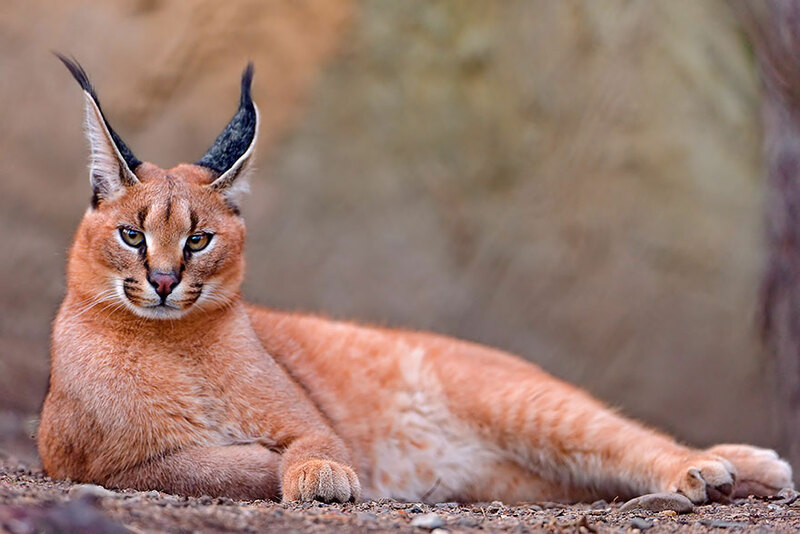 The Caracal (Caracal caracal) lives in Africa and Asia, their name originates from the Turkish word “karakulak,” meaning “black ears.” They hunt at night and often attack animals two or three times their size, such as antelope. 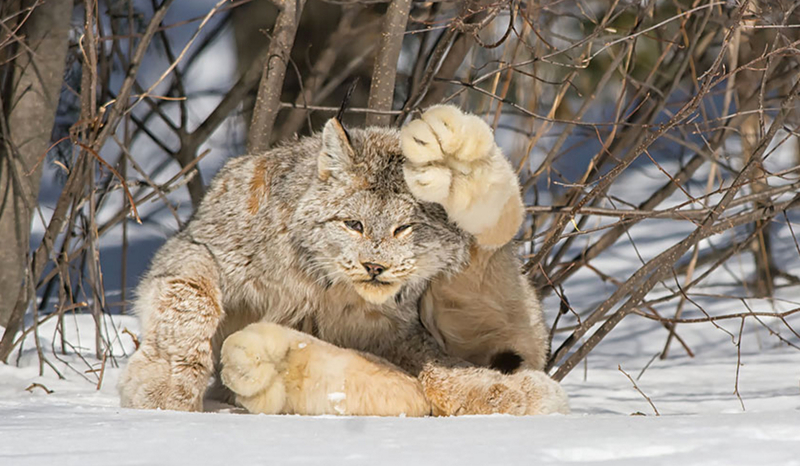 The Canadian lynx (Lynx canadensis) has very thick, light brown or grey fur with light black spots. It has large ears with long black tufts at the ends. Just look at the size of those paws! 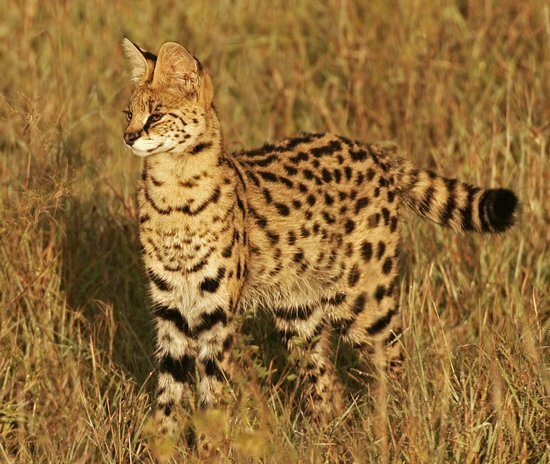 The Serval (Leptailurus serval) is a three to four foot long African wild cat that is believed to be the ancient ancestor of both the lion and the cheetah. Servals are highly intelligent with small heads and long legs, efficient for chasing prey through the grass. 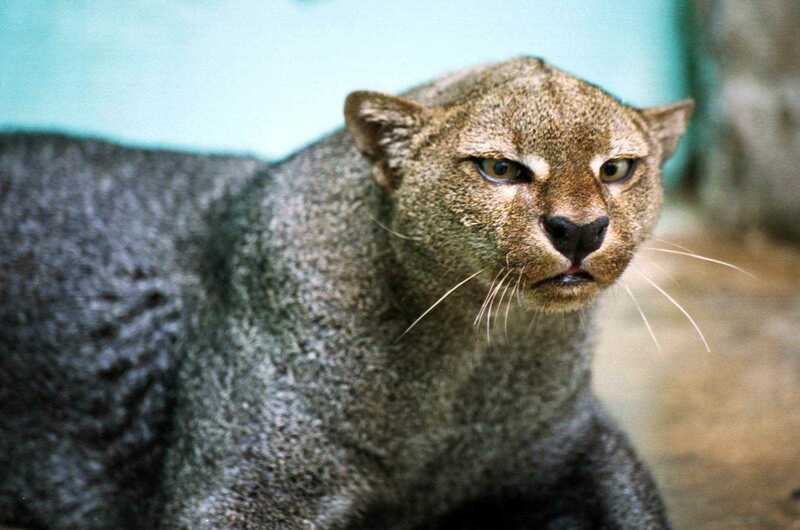 The jaguarundi (Puma yagouaroundi) is somewhat weasel-like in appearance. The body is long and slender, with short legs, a small, flattened head, short, rounded ears, and a long tail. This small wild cat native to Central and South America. The Andean mountain cat (Leopardus jacobita) is rarely seen and lives in the mountains of Bolivia, Peru, Argentina, and Chile at altitudes above the tree line. The total estimated population is only about 2500. This cat grows to only about two feet in length, with a long bushy tail that provides a useful counterweight for manoeuvring around mountains. 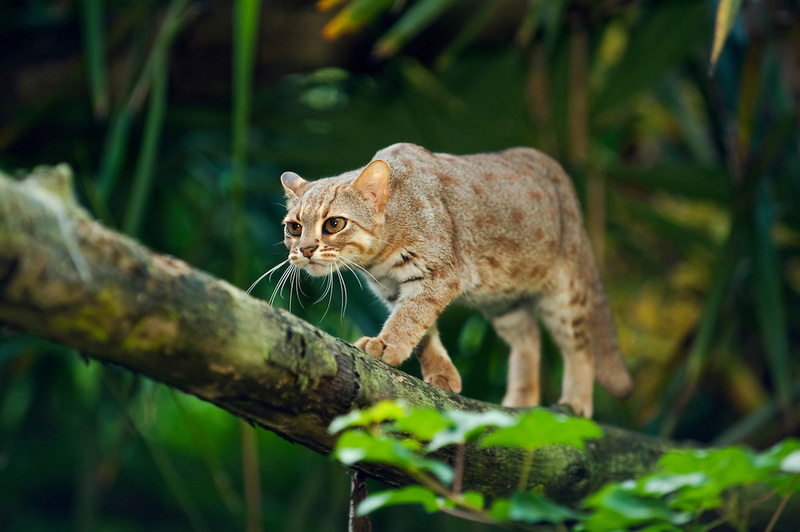 The rusty-spotted cat (Prionailurus rubiginosus) is one of the cat family’s smallest members, and is found only in India and Sri Lanka. Because of it’s size, this delightful feline is known as the humming bird of the cat world. 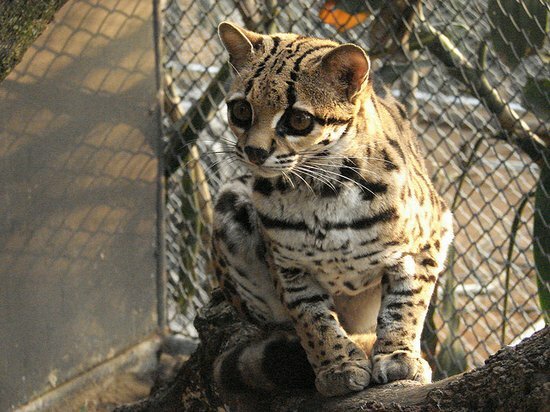 The Margay (Leopardus wiedii) resembles an ocelot but is much smaller. It’s long legs make it an excellent tree climber. Its territory stretches from Mexico down through Brazil where it hunts at night, hidden in the rain forest. Pampas cats (Leopardus pajeros) are about the size of a large domestic cat and are native to the Pampas region in South America, hence the name. Their fur ranges in colour from white to grey or brown, often with stripes and spots. Little is known about their hunting habits but have been spotted feeding on rodents, wild birds and poultry.